Wireshark is the world's foremost network protocol analyzer, and is the de facto (and often de jure) standard across many industries and educational institutions. 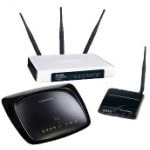 It is used for network troubleshooting, analysis, software and communications,protocol development, and education. You can interactively browse the capture data and view summary and detail information for each packet. Wireshark has several powerful features, including a rich display filter language and the ability to view the reconstructed stream of a TCP session. Wireshark was written by networking experts around the world, and is an example of the power of open source. It runs on Windows, Linux, UNIX, and other platforms. Wireshark can read live data from Ethernet, Token-Ring, FDDI, serial (PPP and SLIP) (if the OS on which it's running allows Wireshark to do so), 802.11 wireless LAN (if the OS on which it's running allows Wireshark to do so) and ATM connections (if the OS on which it's running allows Wireshark to do so). Wireshark was previously known as Ethereal. The name might be new, but the software is the same. Wireshark's powerful features make it the tool of choice for network troubleshooting, protocol development, and education worldwide. nice blog buddy.its very informative too. I am living in Hostel and there are four hostels in our college in which net is supplied by college and all hostels are connected through LAN.Someone has hacked our LAN. when running net scan it shows 100s of IPs acquired by a single computer. when i change my ip it is conflicted within a minute.On again changing the Ip same conflicting message appears all the time and i am not able to use LAN and Internet. we have given to use only from 172.16.8.1 to 172.16.8.255 IPs by our college.